Stained glass is a perfect way to add a sophisticated pop of color to any room. The problem is that often times these designer pieces come with a hefty price tag. 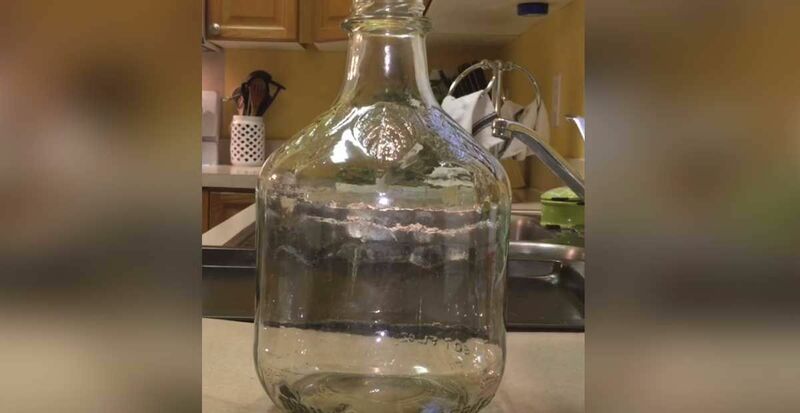 The tutorial we'll walk you through is inspired by a stained glass vase from Pottery Barn that costs a staggering $129. Don't worry though, you won't have to shell out all that money because this super simple tutorial, created by Dezinefun, will cost you just $2. 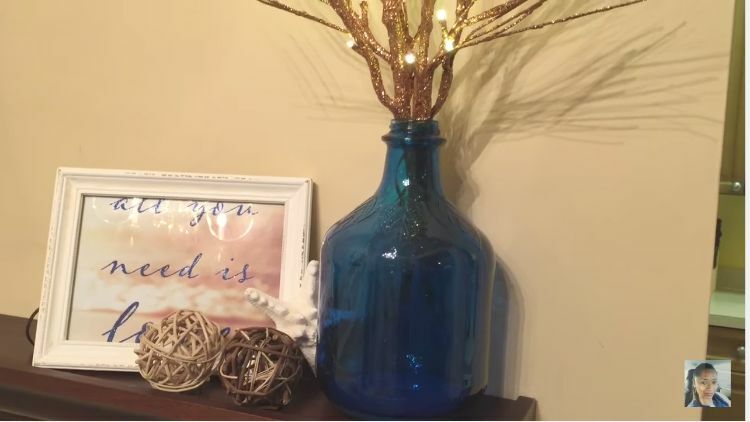 That's right - this project can be done with finds from the dollar store! 1. 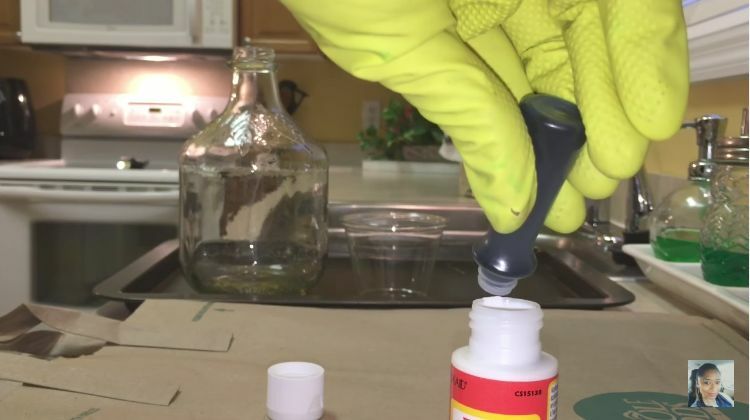 Pour 70 drops of your desired food coloring into a container of Mod Podge. 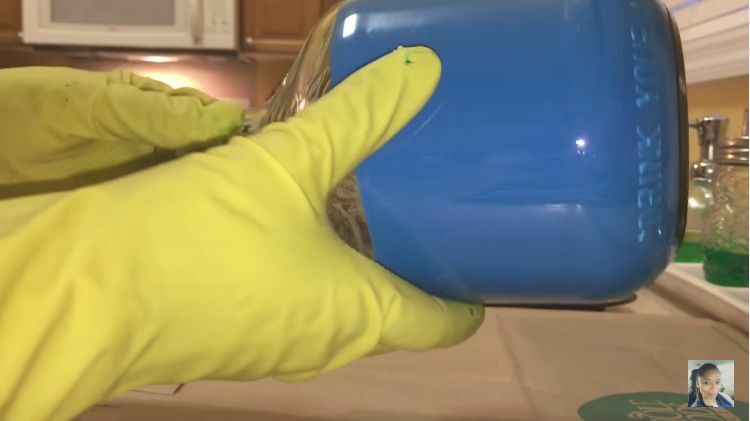 You can do 70 drops of one color, like blue; or you can mix a few drops of yellow to create a teal color. Shake the bottle to combine the mixture completely. 3. 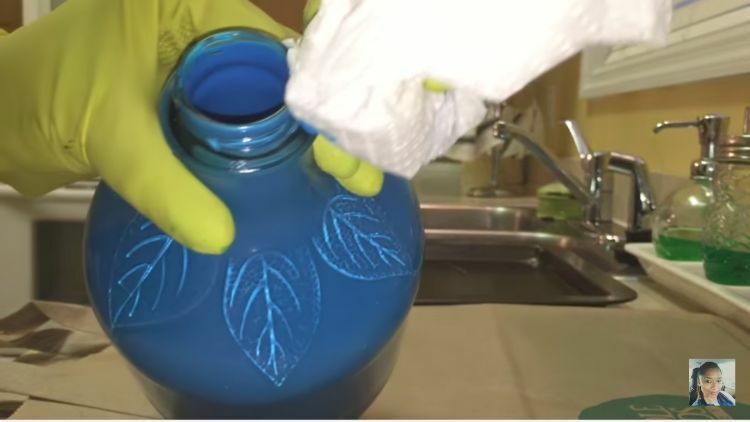 Slowly turn the vase around so that the dye mixture coats the entire inside of the jar. 4. Wipe off any excess residue on the rim or the outside of the jar. 5. Bake in the oven at 200 degrees for an hour. Now it's time to find your fun new stained glass vase a place in your home. Place sticks or flowers inside for a fun and classy new statement piece! 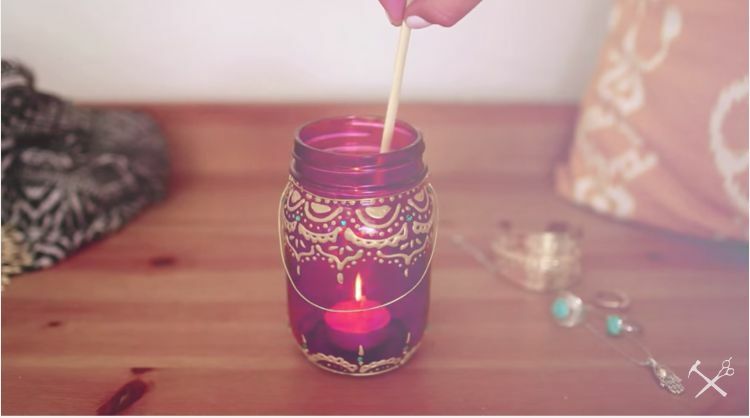 The Sorry Girls put together a tutorial that uses the same technique of combining Mod Podge and food coloring to make beautiful Bohemian Mason jar luminaries. 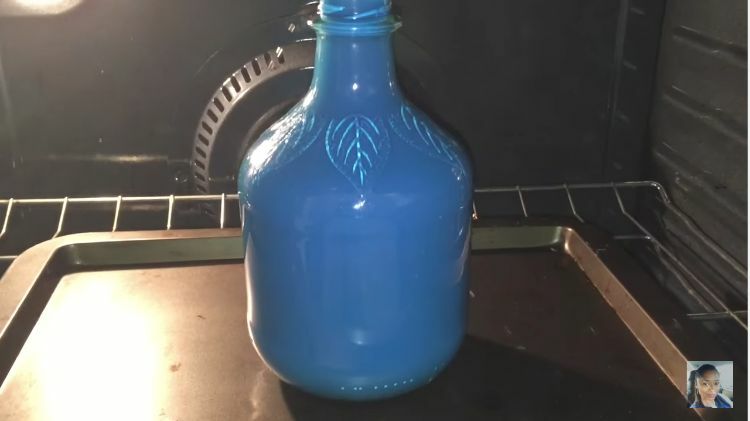 After baking your dye-coated Mason jar, according to the instructions above, use a 3D opaque gloss enamel paint to create a beautiful design on the outside of the jar. We love how the gold paint looks against the magenta glass! 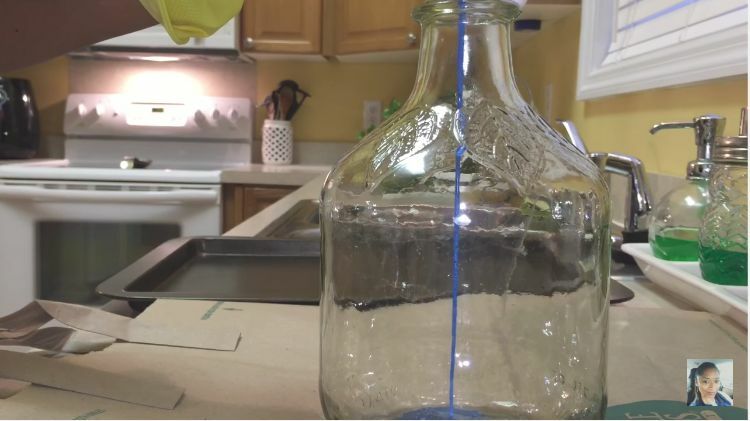 Are you excited to get started on this super easy project? Share this article with any friends you think would love a new stained glass vase! Do you have more mason jars than you know what to do with? Use them to make some of these+ fun projects. You won't believe how many awesome crafts you can make with a handful of paint chips! Leave the stress of tangled jewelry behind by turning a few painted clothespins into the ultimate accessory organizer. When paired with lace and a shabby-chic plank, this strategic creation also adds rustic sophistication to home décor.